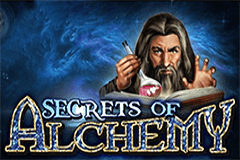 We would like to know the secrets of alchemy, the mysterious science of turning base metals into gold, but with a bit of good fortune, players of the Secrets of Alchemy video pokie can turn their wagers into a small fortune, landing wins of up to 1000x the line bet, triggering bonus spins and maybe even claiming a progressive jackpot. This 5-reel, 25-payline online casino game takes players back in time to when attempts were made to defeat the laws of physics, and the action is set against the backdrop of some strange circular symbols, while the circular theme continues on the reels, where round symbols are lined up in 3 rows. Players will need to get 3 of a kind across any payline on connected reels from the left side to get a win in the normal run of play. Because all 25 lines are permanently active, the low limit to get the reels spinning is 0.25, which some potential players may not want to stake on a game that they don’t know. For their benefit, free Secrets of Alchemy video pokies have been provided by most casinos that carry the games and software from developer Euro Games Technologies, (EGT). There’s no secret to how this game works, as a quick review of the pay table tells players all they need to know about what each symbol combination is worth. 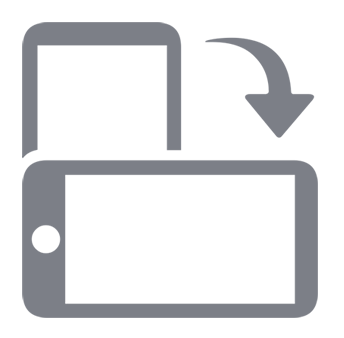 Like many pokies, it’s the job of the high card symbols to create the smaller wins, and here, the J and Q are each worth 5, 20 or 80x the line bet when landing on 3, 4 or 5 reels across a payline. The K and A are worth 15, 30 or 150x for the same combinations, while the smallest wins from a picture symbol come from the bottle of potion next to gold bars symbol that’s worth 20, 40 or 200x. A book of experiments pays out a little more, then we see an attractive woman in a purple shawl, and although we don’t know who she’s meant to be, the wins of 25, 100 or 500x the line bet when she lands across the reels will more than make up for this. The top valued symbol is another unidentified character, this time a man who will return prizes equal to 30, 200 or 1000x when he lands in the right places. The wise old alchemist himself is a wild symbol and when this bearded guy turns up on reels 2, 3 or 4, he will be able to substitute for all others, apart from the scatter symbol and thereby create wins as if by magic. It’s not defeating the laws of physics this time, but he can also extend a run of 3 matching symbols across the fourth reel, turning a base win into a golden opportunity for a bigger payout. The castle is a scatter symbol that pays out 125 coins when it appears on reels 1, 2 and 3 at once, in any positions. Players are then awarded 7 free spins of the reels, although in a fairly unique arrangement, these bonus games can also start completely at random. Although an alternate set of reels is used throughout the free games, the odds of getting a win are the same as in the base games. If the scatter turns up on reels 1, 2 and 3 again at any point before the round ends, an additional 7 free spins are added on, potentially over and over again. Wins of less than 875 coins will see players given the option to double their prize by correctly guessing if a playing card is going to be from a red or black suit. Getting it right earns a further option of taking the win or trying to double it again, but it’s a double or nothing gamble and a wrong pick loses the round along with the triggering win. The 4 progressive jackpots above the reels are part of the Jackpot Cards feature, which is randomly triggered and takes the player to a line-up of 12 face-down playing cards. Clicking each reveals the suit, and once 3 of the same have been found, the Club, Heart, Diamond or Spade jackpot will be paid out. EGT online casino pokie machines all have a good return to player ratio and can be trusted to deliver fair results. Secrets of Alchemy looks pretty good and has an interesting theme, and while the bonus features can be quite rewarding, other than the random triggering of the free spins, there’s nothing unusual about it. So, anyone who likes the design should enjoy this pokie, and anyone who doesn’t like the looks will probably avoid it.